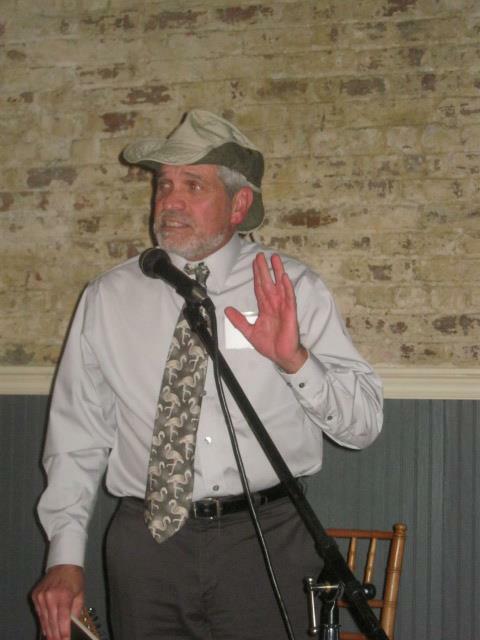 Last year around this time I wrote about the honor of being nominated for Wild South’s Roosevelt-Ashe Society’s “Outstanding Journalist in Conservation” for 2010. I did not win but I did not expect to. I remember thinking and writing upon seeing my fellow nominees, “these are the people I write about.” And just being there and being part of that company was award enough. This year I was even more surprised to be nominated once again. But this year – I knew the ropes I had been to the “Green Tie Gala” last year and I knew what to expect; a wonderful time with people from all walks of life – volunteers, philanthropists, environmentalists, agency personnel, conservationists, journalists, etc – with one thing in common, a passion for the outdoors. Then something surreal happened. 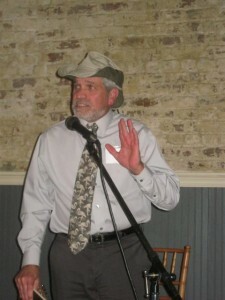 When they announced the winner for the 2011 Outstanding Journalist in Conservation – I heard my name. That was it; the jig was up; I was being convicted by a jury of my peers. Hi my name is Don and I’m an addict. I’m addicted to wild places; clean air; pure water; granite mountains; bough and trunk. I’m addicted to the sound of the wind in the leaves; bubbles of brooks; riffle of rapids; breakers on beaches; howls of wolves and hoots of owls. I’m addicted to meadow and prairie; desert and forest; birds and birdsong; wildflowers and ferns. I’m addicted to nature wherever I find her; in my backyard; in a city park or on a greenway; at the nearest lake; the middle of the ocean; the heart of the deepest wilderness. I’m just addicted to outside. I was perched on the front end of a 12-foot johnboat sculling along the shoreline fishing for bass and/or bream. Behind the camp was the immensity of Beouf River Swamp, tens of square miles of hardwood forest, where we squirrel hunted and deer hunted by day and followed the baying of coonhounds at night. Beouf River Swamp was a wilderness to young eyes, but in reality it was an even-age second growth forest, having fallen under the saw at the turn of the 20th century. And by the time I graduated high school it was gone again – this time for good – and converted to farmland except for the occasional 640-acre “school board” parcel. By that time Horseshoe Lake had become a suburb ringed by “camps” side by side with piers protruding into the lake making it impossible to scull along the shoreline. I didn’t think too much of it at the time. I was, personally saddened by the loss of “my” wild stomping grounds – but there was no hue and cry – it’s just the way things were back in the late 1960s. But this addiction led me to pursue a degree in wildlife conservation. Now, it was the 1970s and much of the “science” of the day centered on how to grow more straight trees and how to produce more game animals. But there were ornithology classes and herpetology classes and plant taxonomy and systematics and then – ecology. And ecology was both the thread that connected everything and the glue that held landscapes together. This was the revelation! White-tailed deer, eastern cottontails, bobwhites, hooded warblers, spotted salamanders, loblolly pine, white oak, sumac; these were not autonomous organisms but all integral parts of a larger, holistic landscape. And the words of John Muir, “When one tugs at a single thing in nature, he finds it attached to the rest of the world.” were no longer just lines in a textbook. Then by a circuitous route, tinged with wanderlust and the longing for wild places I wound up in Western North Carolina where through some serendipitous chain of events I began, around 1994, writing a column called “The Naturalist’s Corner.” The column first appeared in The Enterprise Mountaineer and when Scott McLeod, the editor that hired me, left the Mountaineer and started the Smoky Mountain News “The Naturalist Corner” and I moved also. “The Naturalist’s Corner” has been the therapy for my addiction. I owe a huge debt of gratitude to Scott McLeod and the Smoky Mountain News for having the confidence to basically turn “The Naturalist’s Corner” over to me, giving me free reins to write about wherever my addiction might be taking me at the moment. And the realization, through this award, that the message from “The Naturalist’s Corner” sometimes resonates with readers across Western North Carolina and beyond is truly humbling. Okay, Wild South/Roosevelt-Ashe, you got me. I’m guilty – I’m an addict. Oh, and thanks for recognizing my addiction!